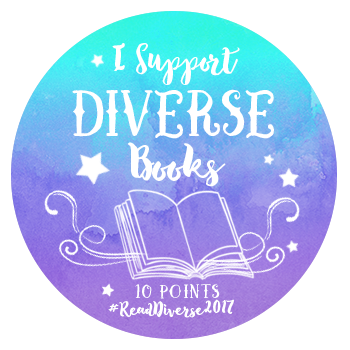 This entry was posted in Reading Challenges and tagged #DiversityBingo2017, diversity, Read Diverse Books, Reading Challenges. Bookmark the permalink. I don’t always fully complete challenges I sign up for, and it may be a stretch for me to complete the entire Bingo Board, but I find the fun is in the effort! I love these choices! I’m probably going to end up doing the challenge too, but I just have no idea where to start!! Thanks! There are so many great categories, it can be a bit overwhelming choosing where to start! I plan on starting with the Indigenous MC, Bisexual MC, and Deaf/HoH MC categories in Jan. Awesome places to start! I have cautiously decided to start on the practicing jewish MC to deaf/hard of hearing row. But we’ll see how that goes!! Which book do you have in mind for the Jewish category? I think I’m going to try ‘Flying Couch: A Graphic Memoir’. This is a hefty bingo card: good luck! Reblogged this on Team Enforcers.